Spectacular single family home in desirable East side location! Easy commute to walking trails, parks, schools and much more! This home offers a spacious family room area open to the dining and kitchen complete with island! All appliances included makes moving a breeze! Traveling North on Tuttle Creek Blvd. to Right on Walters Dr. to Left on Brookville Dr. to Right on Brookridge Dr.
Manhattan is located in Kansas. Manhattan, Kansas 66502 has a population of 56,308. The median household income in Manhattan, Kansas 66502 is $43,275. The median household income for the surrounding county is $44,522 compared to the national median of $53,482. The median age of people living in Manhattan 66502 is 24.4 years. 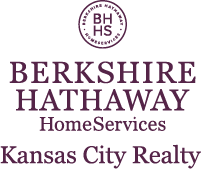 I am interested in 312 Brookridge Drive, Manhattan, KS 66502.